The debut bottle in the Angels’ Share project is I felt an important nod to the past. There are many distilleries that have vanished, particularly as major corporations have snapped these up and condensed the sites. Ah, with today’s growing demand for whisky such a short term approach may backfire as it’s not easy (or now in for some sites completely impossible) to revive some of these once great distilleries. Mothballed is not the word with some being sold off or converted for other means. There are a few names that do stand out; Rosebank, Brora and Port Ellen to highlight but three. 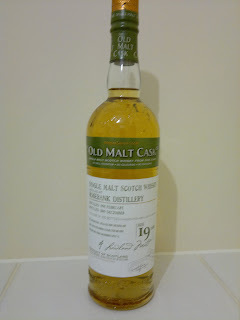 So to mark a glorious name from the past I’ve gone for a Rosebank malt from 1990 and bottled by Douglas Laing. For those unaware this company specialises in offering a broad range of malts from across Scotland in limited quantities. Their work and those of others ensures that some great names continue today. 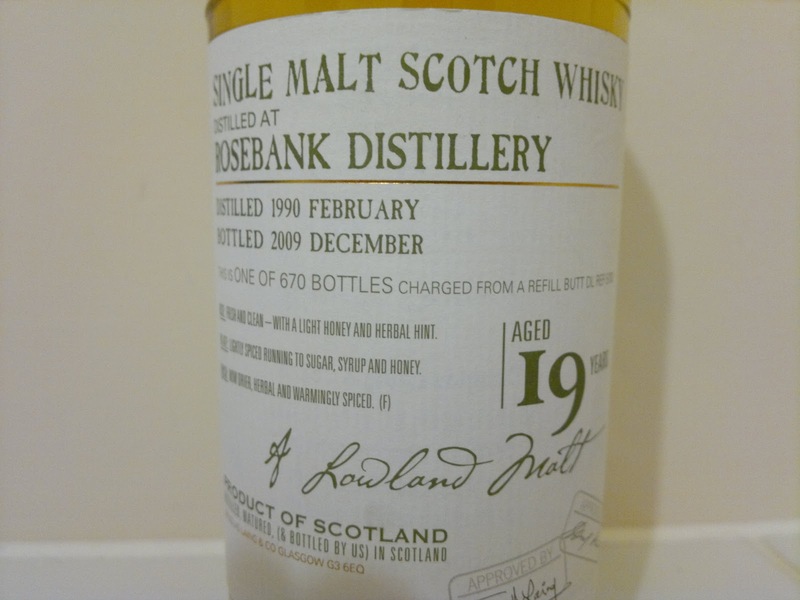 The Rosebank distillery was closed in 1993 and was an oddity with its location in the central belt of Scotland. 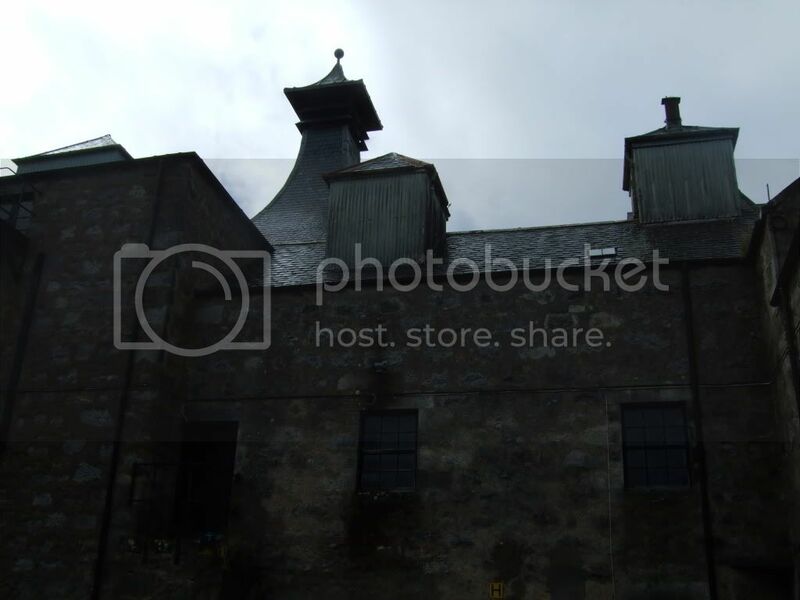 Today there are few distilleries left in the most heavily populated area of Scotland. The most obvious example being Glenkinchie in East Lothian, home of the 'breakfast' malt. 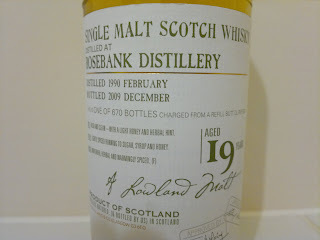 This Rosebank release was limited to 670 bottles and bottled in December 2009. Packing a punch at 50% it is perhaps not the best example of what this distillery can offer but a fresh, strong and vibrant entry in its heritage. A welcome starting point. I am eager to acquire a Brora example, particularly after visiting Clynelish and touring the old abandoned distillery next door. As with most of my distillery visits some snaps are available here for browsing. It’s a wonderful setting and certainly high on my list. Speaking of which I'll be up in Perthshire and Aberdeenshire within the next month, so expect a couple of distillery visits here shortly.